If you want to get beyond weight loss to permanent change there are a few critical basics you need to understand. The basics of weight loss you find here are unique to The LookCut Approach. Here you find the most advanced understanding of basic weight loss concepts available anywhere. You will never totally gain control over your weight until you understand how to manipulate the key hormones that control your weight with food. There are 3 primary hormones that control your weight. The master hormone above all others that controls your weight is insulin. The primary purpose of insulin is to lower blood sugar. Insulin moves glucose from the blood into cells where it can be used for energy. Insulin turns off fat burning. Cells become resistant to insulin from diets rich in processed carbohydrates. Long, slow release of insulin helps lean you out. Fast, large release of insulin make you fat. The opposite hormone to insulin is Glucagon. The primary purpose of Glucagon is to raise blood sugar. - Eating fewer calories results in weight loss. - You need to burn 3,600 calories to burn a pound of fat. -Eating more calories than you need results in weight gain. Calories from whole foods work totally different from calories from rich processed food. More whole food calories promote weight loss. Processed food calories promote weight gain even when eaten below caloric needs. BMR stands for Base Metabolic Rate. The classic defintion of BMR "The amount of calories you require at rest" is very misleading. BMR essentially measures the energy your body would require to be in a coma. BMR is already under your basic needs in terms of calories. Eating at or below BMR for weight loss can often create over eating and weight gain later. BMR is elastic, not fixed. What you eat and when you eat it can increase or decrease BMR for the day. 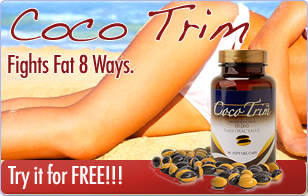 These fats help you get and stay thin.